We found 68 matching properties. Now displaying properties 1 to 5. Renting in Raleigh is a great option, if you’re just starting out, you have the option to change cities or states with ease. There are many lease options offered out there to fit most Raleigh renter’s needs. Compared to buying a home too soon, it’s a smart move. You can test out Raleigh neighborhoods and small communities to see if it fits your lifestyle. Not to mention that with Raleigh apartment living and the benefits of enjoying amenities like a pool, gym, on-site laundry services and no yard maintenance. The manager of any Raleigh apartment complex is usually on-site, so if there’s any issue or emergency, it can be handled quick. Lookup for a local Raleigh duplex, apartment lease, efficiency, B&B rooms, homes to sub- lease or furnished rooms. Refine your Raleigh lookup options by price, number of bedrooms, and type of property. 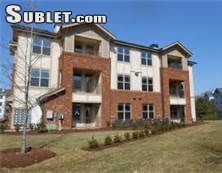 Lookup Raleigh apartments to rent or a house rental.